Integrative Oral Medicine is a dental practice that provides all traditional dental services and much more. Directed by Dr. Doug Thompson, we are a team of professionals with a keen awareness about how oral conditions affect the lives and overall health of our patients. With over 50 documented systemic diseases related to oral conditions our goal is to ensure that oral health is in no way making a negative contribution to your systemic health. Our simplified examination and oral evaluation process, coupled with our state of the art diagnostics, allow us to identify disease early when it is easiest to treat. Our team wants to ensure your mouth positively impacts your overall health. Through our unique evaluation and risk assessment process we can outline a strategy for long-term health for you. 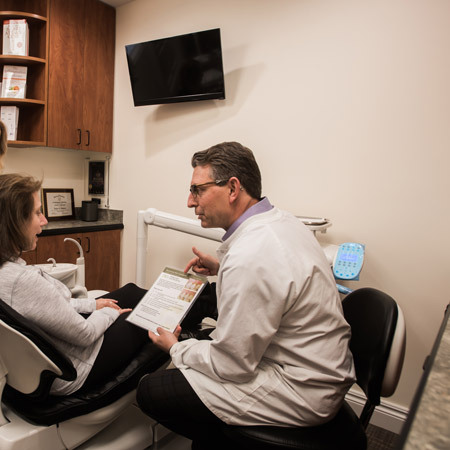 Directed by Dr. Doug Thompson, Integrative Oral Medicine is a team of professionals with a keen awareness about how oral conditions affect the lives and overall health of their patients. His knowledge is the backbone of our progressive disease prevention and management approach. With over 50 documented systemic diseases related to oral conditions our goal is to ensure that oral health is in no way making a negative contribution to your systemic health. Our simpliﬁed examination and oral evaluation process, coupled with our state of the art diagnostics, allow us to identify disease early when it is easiest to treat. When necessary, we collaborate with physicians to coordinate care if patients have vascular disease, diabetes, and other conditions affected by oral inﬂammation. Dr. Thompson and his Integrative Oral Medicine team want to ensure your mouth positively impacts your overall health. Through our unique evaluation and risk assessment process we can outline a strategy for long-term health for you. 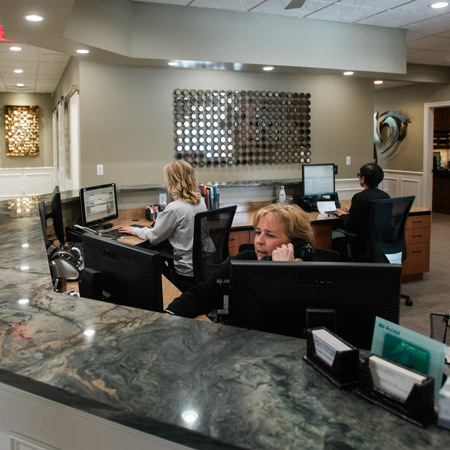 Directed by Dr. Doug Thompson, Integrative Oral Medicine is a team of professionals with a keen awareness about how oral conditions affect the vitality and quality of the lives and overall health of their patients. This is the backbone of our progressive disease prevention and management approach. Our goal is to improve the quality, the vitality, and potentially the length of your life through the evaluation and care of your oral health. You can be sick with a healthy mouth but the reverse just isn’t true. Integrative Oral Medicine provides all traditional dental services including cosmetic work, smile makeovers, implants, cleanings, gum disease treatments, fillings, crowns, whitening, implants, complex rehabilitations and more. There is no issue so severe we can’t help. We can restore a smile you used to have or create a smile you never had. READY FOR YOUR 1st VISIT? Dr. Thompson began his dental career at age eighteen, working as an in-house laboratory technician. Over the next ten years, he worked and studied full time and graduated from University of Michigan School of Dentistry in 1996. He then completed a one-year hospital-based V. A. Residency Program in General Dentistry. 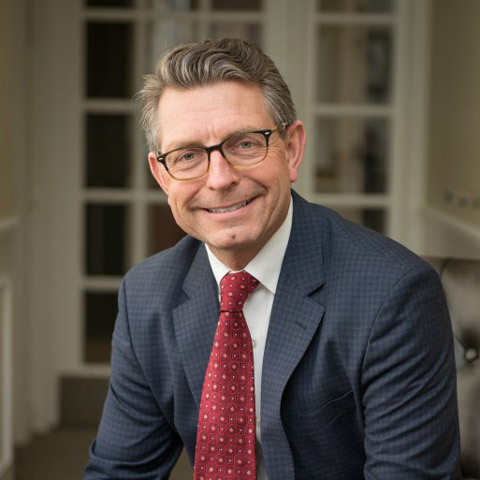 In 1997, Dr. Thompson bought an established private practice in Bloomfield Hills, Michigan, where he has served his Integrative Oral Medicine patients and the community for the past 20 years. Dr. Thompson is a proud Mentor, Graduate, Clinical Instructor, Past Advisory Board Member and now Faculty at the prestigious Kois Center. © 2017 Integrative Oral Medicine. Designed & Maintained by JTE Marketing Group.